I had a chance recently to try some new hot sauces and am happy to share them with you. The maker is Nando’s, better known for the restaurants around Washington DC with a rich Portuguese history and a specialty with chicken. Now the restaurant has branched into the ever-growing hot sauce world, and their entries are very good, in my opinion. 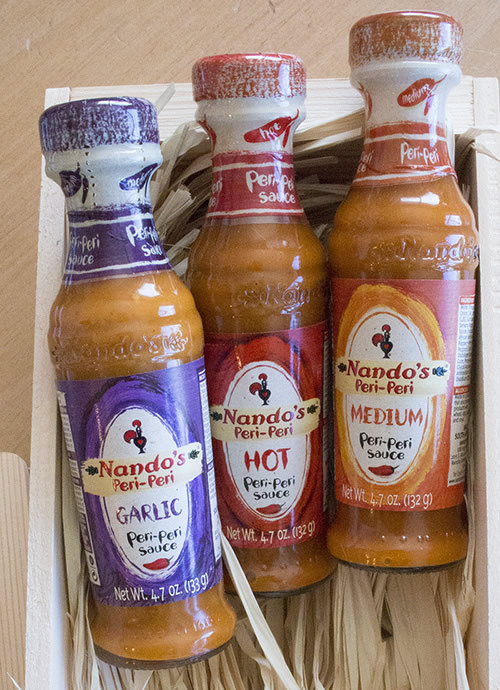 The secret ingredient behind their popular restaurant dishes is their peri peri sauces, which they’ve bottled. Traditional peri peri (or piri piri) sauces incorporate African Bird’s Eye chili peppers as well as citrus peel, garlic, onion, lemon juice, bay leaves, paprika, pimiento, basil, oregano, and tarragon, and salt and pepper. The African Bird’s Eye chili pepper measures in at 175,000 SHU on the Scoville Heat Scale. Nando’s isn’t giving up their exact recipes, but these sauces are quite flavorful. I’ve been dashing them over seafood this week and have enjoyed them all. There are four sauces, though I’ve only been able to sample three of them. Medium Peri Peri Sauce, Hot Peri Peri Sauce, and Garlic Peri Peri Sauce. They all have a particular bright tang that I find different from many other sauces. They have a nice kick, especially the hot, which makes me want to try their Extra Hot version. I’m particular to the garlic for a bit more of a savory element, but I’m always particular to garlic, so don’t let that sway you too much. I’m happy to recommend this sauce. Nando’s has gone mass market and you can find their products in stores like Publix and Target, or from their restaurants. Don’t forget to support the smaller hot sauce makers as well! 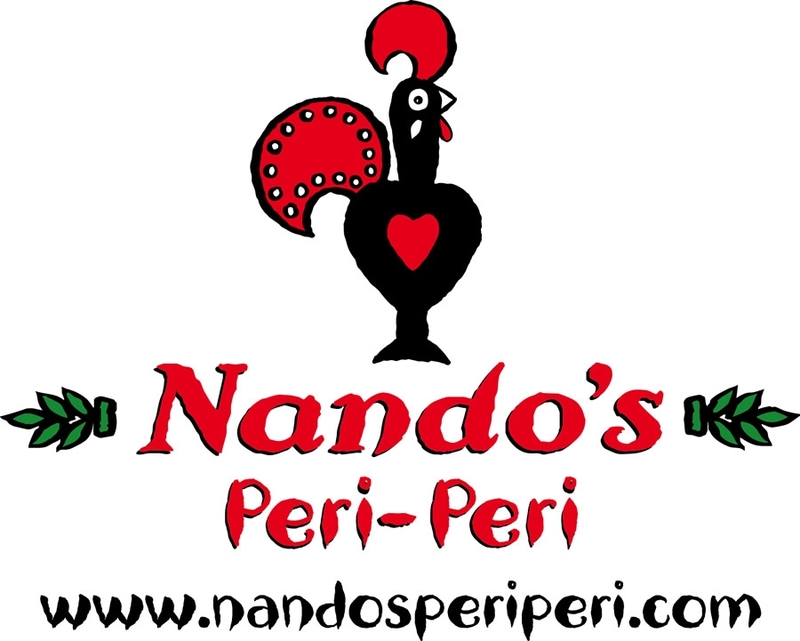 You can learn more about Nando’s and their sauces at their web site here: http://www.nandosperiperi.com. Want to make your own peri peri sauce? Here is our Peri Peri Sauce Recipe. If you like our chili pepper recipes, check out our chili pepper cookbooks!